Yesterday I unexpectedly found myself by a lone bench on an empty ocean front. A boat was just off the shore, solitary but securely anchored in the sea. I ached with the unexpected beauty, the symbolic solitude of the boat. I felt like this boat. Alone, but securely anchored. As I stood there, a scarf wrapped around my neck shielding me from a chill wind, I thought about the last couple of weeks. Loss is a curious thing. You lose someone, and suddenly all the unrelated losses in your life seem to merge together and attack you like a virus. Grief is similar. When you open your heart to grief instead of pushing it to the back of your heart until a convenient time, you open yourself to other seemingly non-related grief. Many of you know that I recently lost my dad. As I’ve allowed myself to feel, I have opened the door to memories of other times of grieving and other grief patterns that are seemingly unrelated. But grief is grief, and loss is loss. They connect together like a dot to dot child’s book, creating a picture that represents something much bigger than just one dot. About 11 years ago in Phoenix, we sold our house. The house was not that special in terms of its design and build, but there was something about it that grabbed my heart. There was something about the large yard that swept out to the open sky, nothing but the Gila River Indian Reservation behind us. There were sunsets every night that bathed the sky with unimaginable colors – red, fuchsia, orange, yellow, chartreuse – and so many that I couldn’t possibly name them. An archway at the back of the yard led to a seating area and a bee-hive shaped fireplace. We could sit for hours in that area, just talking, listening to one of our kids play guitar, relaxing under the desert sky. I would sit with morning coffee on the patio watching humming birds, marveling at the energy that their tiny bodies could produce. While the sale of the house was still pending, we had some work being done. I would go over to the house while contractors worked their magic to repair and update doors, floors, and counters. At this point, we were moved in to our new house – a lovely home less than two miles away. There was no logical reason to feel sad, no logical reason to grieve. But sitting in that house under a whirring fan, listening to the rhythmic hammer of skilled workmen; sitting on the patio and looking out to the desert plants, I began to grieve in a way that I had never grieved before. Seemingly unrelated events and losses of people attached themselves to this thing called grief. It could have become a monster that controlled me, but instead, in that desert home, where citrus trees and Bougainvillea brought brilliant color to dusty brown, I let it go. I grieved like I’ve never grieved before. I grieved leaving home and going to boarding for the first time. I grieved saying goodbye to best friends. I grieved the end of first love, a childhood grief made more poignant by the unresolved grief before. I grieved leaving Pakistan, with an ache in my throat and stomach, with tears caught in that place where they can’t be released. 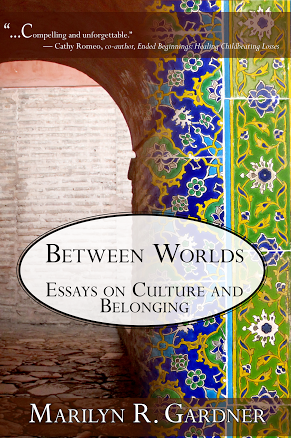 I grieved leaving Egypt, my ‘adult love.’ And added to that grief, I grieved the loss of the Middle East studies program my husband had sweated blood to begin. I grieved the realization that I may never live overseas again, an ache in my bones. And in that house in Phoenix, that nothing-special-track-home with its beautiful yard, all these griefs flowed together, wave upon wave, memory upon memory, feeling upon feeling, stirred up and churned up like a dust storm that must run its course. And when the storm has passed, dust leaves behind its grit and its taste on every surface. Then the work was over. The house sold. It belonged to someone else. Too soon, I thought. I had more griefs to name, more sadness to resolve. 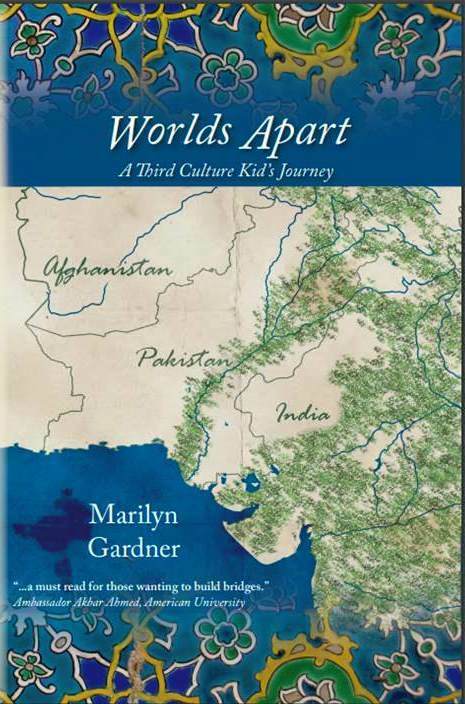 According to the conventional wisdom, third culture kids suffer from unresolved grief. Hidden grief, the experts say, is a significant struggle for us. I don’t know. I have done no research. I only have my own experience. The grief and loss dots are connecting again with my dad’s death. The picture is bigger than his death, it encompasses far more loss. But I’m not afraid to face it, because the monster created by unresolved grief is far worse than grieving. And next to the grief is life in all its joy and sadness, waiting to be lived. So comforting to read this as a TCK transitioning and knowing that grief is okay. Thanks so much for reading Abigail! And yes – grief is indeed okay! This is beautiful! I write about how the death of my parents at a young age defined me, just as much as their lives did. There are many layers to the grief . I always look forward to your gift of writing and expression. May God heal You of any pain that has been lying dormat. These words are far more encouraging then you probably realize. I’ve been going through a bit of a “why do I write” crisis. These words are so kind and just so lovely. Thank you. Thanks, Marilyn, and blessings to you. Marilyn Dear, thank you for sharing your heart so openly regarding ‘grieving’. My dear daddy went to be with the Lord suddenly when I was only 31. You were so blessed to have your sweet daddy with you so much of your adult life and be involved in your children’s lives also. Your loss of your home here in Az. that resurfaced is interesting. I never realized how difficult it was for you to leave that home although we miss You everytime we go to Trader Joes very near to where you lived. May the Lord continue to heal your pain in the days and wks ahead. Oh dear. And Yes. Grief is cumulative. I’m not sure there is such a thing as “resolved” grief. One grief tends to bring on some of, if not all all the others. Not in the same intensity, and it is grief nevertheless. It might have been kinder to your heart in that moment to grieve the loss of the Phoenix house. Grieving the death of your father is a never-ending process, occasionally bringing on tears we cannot stop. I would imagine that for you, and you siblings, the reality of it all will take a long time to settle in because you did spend large chunks of time apart. And then it hits you. He’s not on a trip from which he will return. Remember this, though. You have not lost your Dad. He is inextricably connected to you in love. As my Quaker friends would say, I hold you in the light of love. Poignant and powerful…each of us handling loss in different ways.